Film festival in London as a platform was not chosen by chance, as many world film studios use the UK for filming and editing world-class blockbusters. Romford Film Festival is a stable, well-established festival that is attended by a large number of experts and residents of London, this association is the surest solution for attracting the maximum amount of attention of the press, viewers and experts to the Eurasian cinema. The festival will feature such works as: feature films, short films, animated films, documentaries, book trailers and screenplays. NOTE! We have changed the date of the festival to June 6 to 10, 2019! Feature submissions must not have previously been released in the UK on any format. Whilst the ECG Film Festival does not have a specific premiere restriction on submissions, premiere status will be a factor in decisions taken by the programming team, and may comprise a specific condition of an invitation to screen at the festival. The festival participant must be a member of the Eurasian Creative Guild. For those who are not, we have allocated a separate category “Competitor” for free. A Guild member in this category can participate in a film festival, receive a Guild member certificate, can use the Guild logo and participate in Guild meetings, but cannot use the Guild services specified in paragraph 4.5 of the guild constitution. To become a member of the Guild, click here. The festival charges fees for its film submissions. Please note that all shipping and postage costs to and from the festival must be borne by the submitting party, including those for the film selection package for all additional materials sent to and returned from Eurasian Film Festival. All applications submitted earlier will be considered. ECG Film Festival endeavours to complete all selection procedures by 10 May 2019. Notification will be by email. The Eurasian Film Festival is able to screen feature films on DCP and AVI. Films entered for selection must be submitted on-line only. PLEASE NOTE THAT ONLINE LINKS (OTHER THAN THE FILMFREEWAY ONLINE SCREENING PLATFORM) WILL NOT BE ACCEPTED. Short Films to a maximum length 49 minutes in length. Feature Films minimum length of 50 minutes including fictional narrative, documentary, animation, and experimental, music video or any crossover of the above. Exploitation or pornographic films will not be accepted. 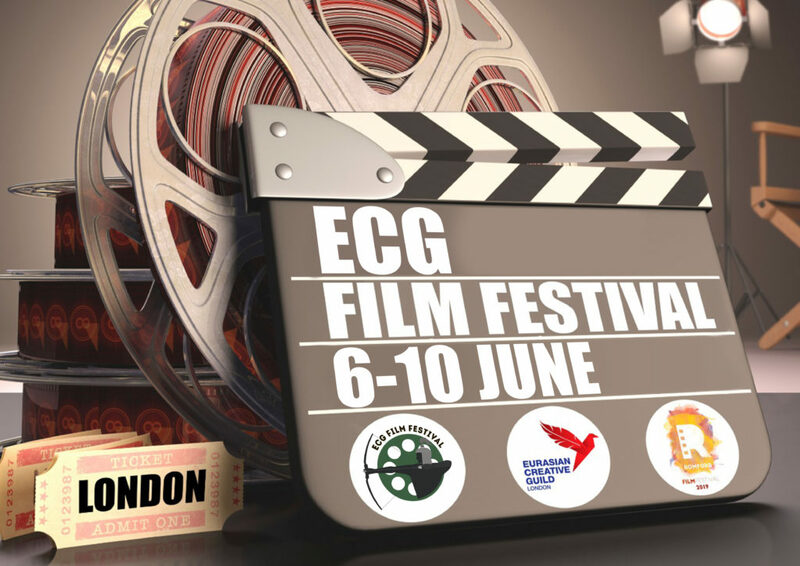 The ECG Film Festival welcomes submissions from all sectors of the European and Asian filmmaking community. The ECG Film Festival reserve the right to use any material provided to us for marketing purposes. All films in a language other than English must be subtitled or submitted with a script translated into English. Festival endeavours to complete all selection procedures by 10 May 2019 and to inform submitting parties, by email, of the festival’s decisions on or shortly after that date. Please note that shortlisted titles for each festival award will be selected ahead of the ECG Film Festival’s 2019 programme announcement, with all nominated filmmakers informed of their competition selection by 10 May 2019. ECG Film Festival is able to screen DCP and AVI. Festival aspires to provide the best quality projection possible but will not be held liable for any failure in the technical quality of the projection. Festival assumes that the submitting party or filmmaker or print source company has insured for damage and loss of the festival tape. Screenings are scheduled at the discretion of ECG Film Festival. Whilst every effort will be made to adhere to the published schedule, Festival reserves the right to make changes at any time for any reason. Festival will not be liable for any costs claimed as a result of a change in scheduling. No film may be withdrawn from the festival programme after its selection, and no film may be screened outside the Festival during the Festival and before its official presentation without the agreement of ECG Film Festival. This will include any premiere status that was stipulated by the festival in offering said film a position within the ECG Film Festival programme. All enquiries on the above may be directed to info@eurasianfilmfestival.uk. Applications for screening out-of-competition on a commercial basis are also accepted.